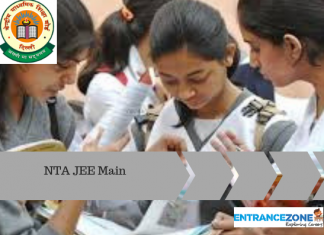 GITAM GAT 2019 Result will be available on 26 April 2019. And the result will be on the basis of scores that the candidates obtain in the entrance exam. Also, GITAM GAT 2019 Result will be the basis for admissions in the university. The result of GITAM GAT 2019 will be available online. The candidates will be able to check it from the link, which will be available here, by submitting the hall ticket number and date of birth. On the completion of the test, the computer will present the result in terms of a total number of correct and incorrect answers along with the net scores but the rank card will be released later on. Possibly the counselling process will start in the month of June 2019. Before counselling process, a rank list will be available on the University website. Candidates will be eligible to download call letter online after rank list will be available. The counselling of the examination will be in offline mode. For it, a counselling call letter will be available and the candidates will be able to download it by submitting the application number. It will take place in Visakhapatnam Campus, Hyderabad Campus, Hyderabad City, Vijayawada, Tirupati, Bangalore campus, and Bangalore city. In the counselling, the seat allocation will be done on the basis of GITAM GAT 2019 Result. A candidate who scores higher in Mathematics will get a higher rank. If the tie does not break, then the rank list preparing body will consider marks in Physics. If the tie still exists, then the candidate scoring higher in Chemistry will get better rank. Finally, to break the tie, age of the candidates will be the factor. This means that the candidate of more age will get a higher rank. As per the criteria of the examination, 25% seats in the institutes will be vacant for meritorious students belonging to the state of Karnataka. However, this will only be applicable for the admission in the Bengaluru campus. The central and state Board toppers will be provided direct admission in the desired stream. However, they must satisfy the eligibility criteria of the examination. The University will provide 100% tuition fee waiver to top 1 to 10 rank holders. The next 11 to 100 meritorious candidates will receive 50% TFW. For the female candidates, the application fee of the exam is just Rs. 600. The female candidates will get preference while allocating the test centre. Please visit the institution link for the fee structure of all courses for all years including hostel and mess bill. 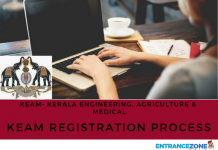 Firstly, the results of the candidates who appeared for exam will be available on the gitam official website. The candidates will need to enter their hall ticket number and date of birth before proceeding further for checking the result. Then, the result of the candidate will be available on the screen. Finally, the aspirants should download the result and keep a hard copy of the result safe for future reference. The selected candidates must pay the university fee urgently as Challan at Bank counter available in the counselling centre or Demand Draft drew in favour of GITAM University, payable at Visakhapatnam. If the candidate fails to pay the fee after allotment, in another case, the seat will be cancelled automatically without any notice. The candidate will not be given any extra or extended deadline to pay the university fee. Candidates will be called in the order of their ranks and allotted seats available at that point of time. Only parent or Guardian is allowed along with candidate for the counselling. Candidates might be required to have a stay on the further days, if necessary. While attending the counselling does not confer right for admission as candidates attending counselling can be more than total seats. The candidates must bring the following Original Certificates with two sets each of photocopies. GAT – 2019 Counselling Call Letter. X class or Equivalent pass certificate. 10+2 / Intermediate marks statement and Pass Certificate. Provisional Certificate and all marks statements of qualifying examination for admission to M.Tech. / M.Pharmacy programs. 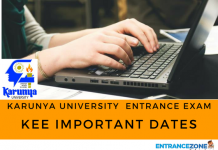 gitam results, gitam university admissions 2019.